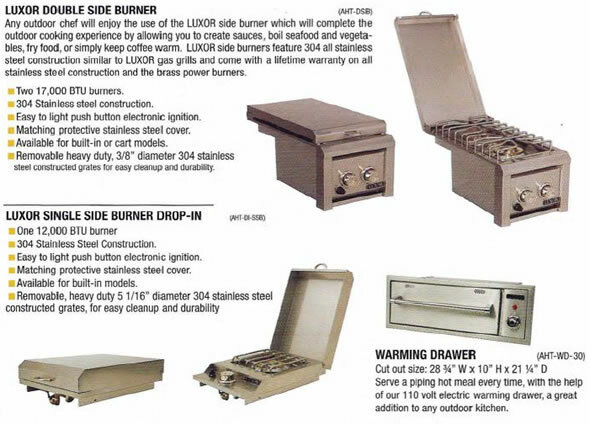 Luxor is a BBQ synonymous with high class and lifelong craftsmanship for any backyard chef. 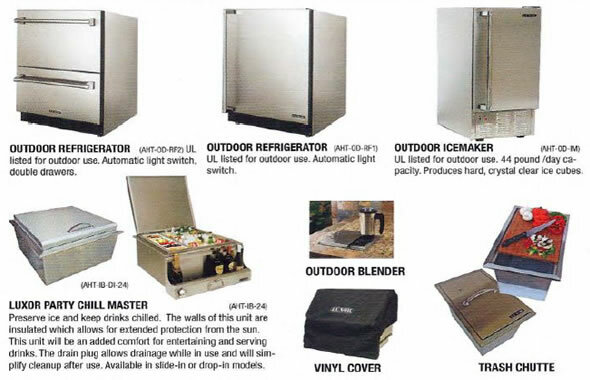 Whether you’re looking for a Gas grill, Charcoal Grill or even Outdoor Kitchen Components, Luxor is built to last and fit any grilling dream you’re looking to make a reality. 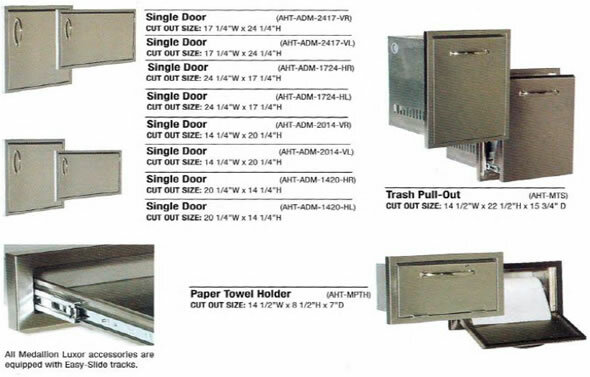 Luxor Grills are outfitted with built in smoker boxes, Infrared Burners, Seamless Stainless Steel Welded Hoods and parts, and are all 304 grade Stainless Steel. 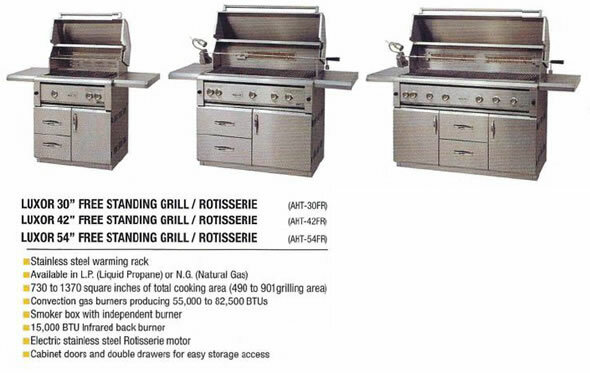 Cart and Built-in options are available, and on most grills you can personalize with adding burners or other amazing features. 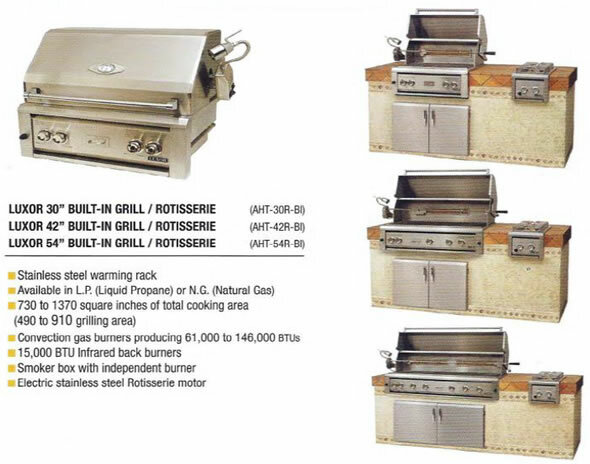 We have a luxurious grill on display, as well as their sister company Allegra- both with add on accessories just waiting for you to come by and see it! 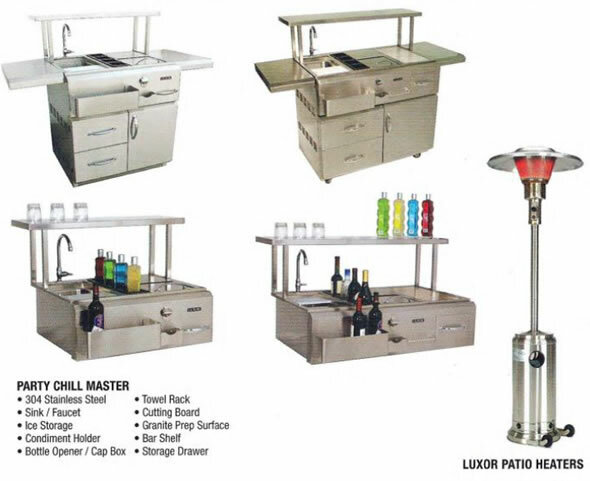 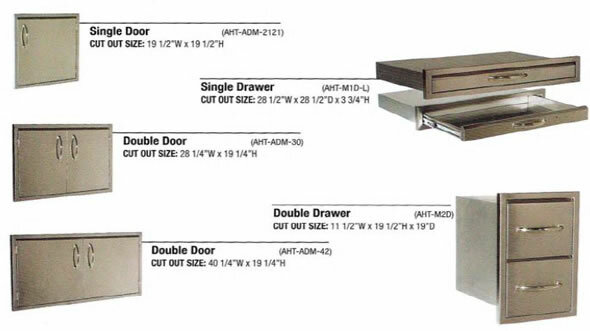 For the best Luxor Outdoor Grills and Accessories contact All Masonry and Landscape Supply on 760-941-7263, 845 West Vista Way, Vista CA, 92083.